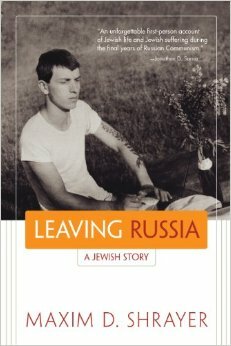 Leaving Russia: A Jewish Story, the new memoir from Professor of Russian and English Maxim D. Shrayer, “poignantly captures [the] double life of [a] refusenik,” according to a review in the Jewish Journal. An excerpt was published by The Forward, and Shrayer discussed the work in a Q&A with the Russian-Jewish newsletter, The Soviet Samovar. This entry was posted in Boston College Authors and tagged Jewish, memoir, Russia, Soviet Union. Bookmark the permalink.